Growing plants gives one patience. 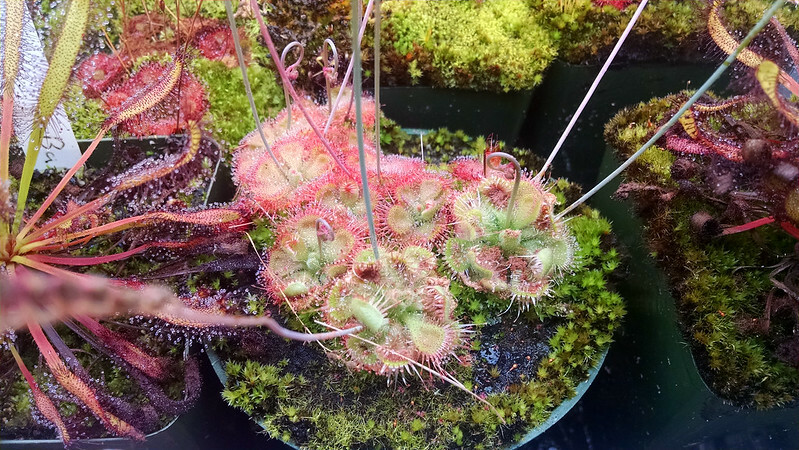 I was never really into plants before I started growing carnivores, and I couldn't imagine the time frames people were talking about – 2 to 8 weeks to germinate seed, a year from germination to flowering maturity. It seemed like everything took forever, and I was super anxious. It's not like that now. I'm more likely to think stuff like, "Wow, it's only been a year. That grew quickly!" I think that this sort of comfort with longer time frames is probably one of the most positive effects that dealing with plants can have on one's life over all. In any case, I went back through some old posts from last January to see what's been going on. 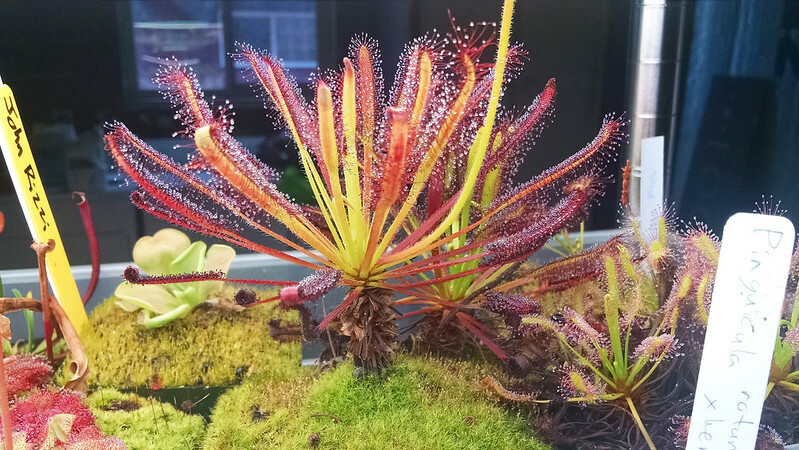 Drosera sessilifolia is a pretty dramatic case. How's that for a year's growth? 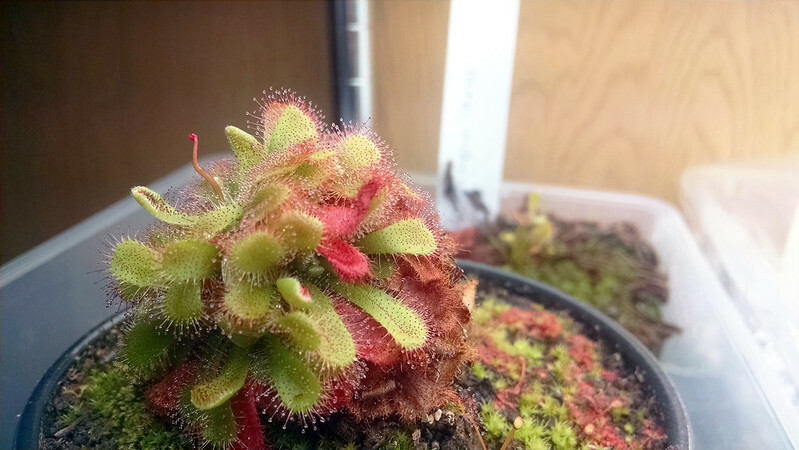 Feed your Drosera! They will reward you for it. This is a great little plant. I'm feeding heavily so that I can show Fernando at the upcoming BACPS meeting. 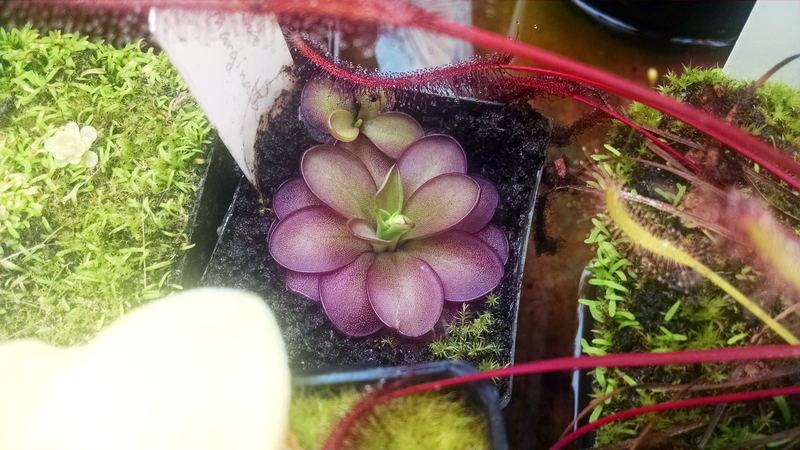 A plant that doesn't get as much play on the blog lately is Pinguicula laueana × emarginata. It's been a bit buried in the collection for the last year, but I dug it out for this post. 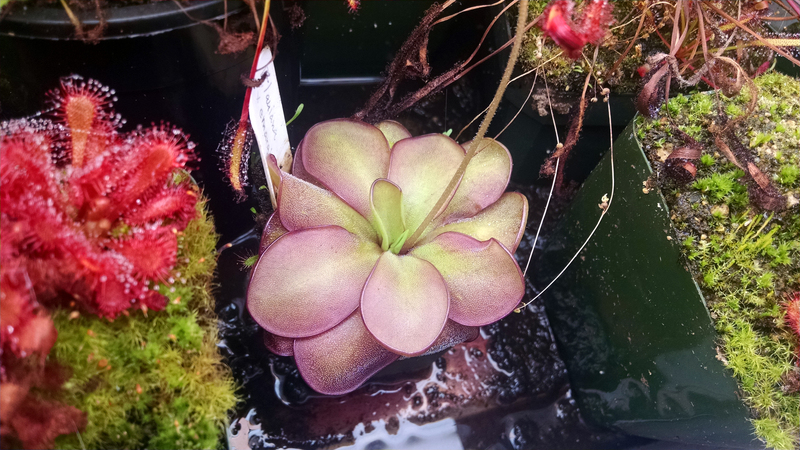 P. laueana × emarginata, 1-23-2015. 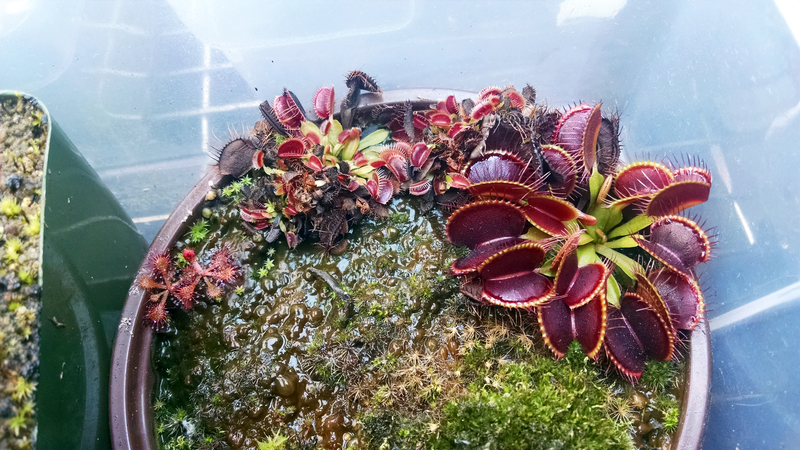 P. laueana × emarginata, 1-9-2016. 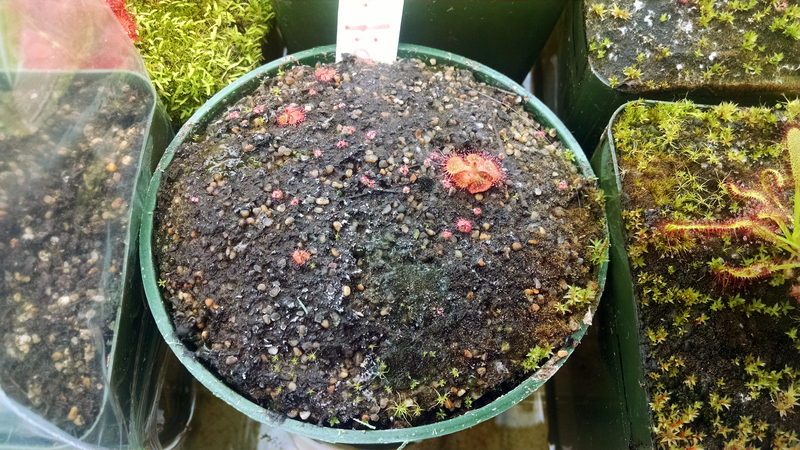 It's in the same pot, for scale – a little 2-inch nursery pot that I really need to do something about. I don't know what happened to that plantlet that's visible in the top picture. 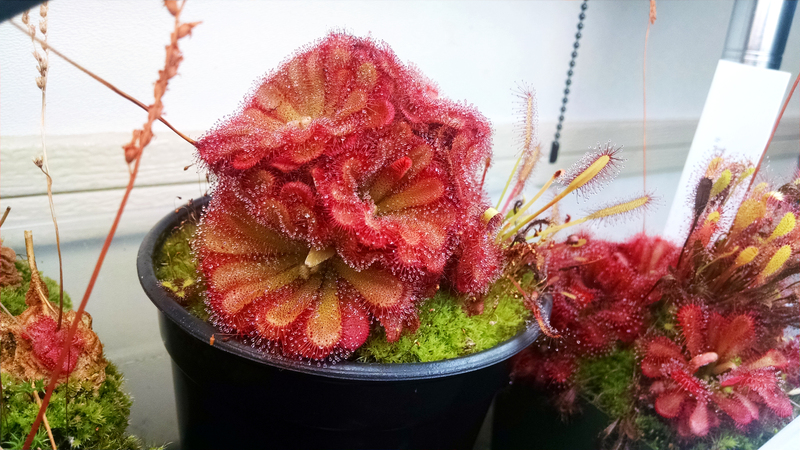 Beautiful plant though! One plant that was the real dark horse of the last year is this clone of Drosera capensis. 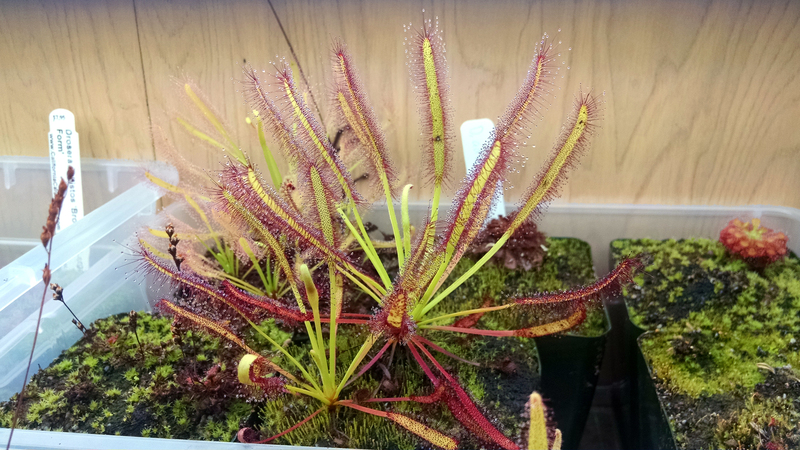 D. capensis "stemmy clone", 1-19-2015. D. capensis "stemmy clone", 1-9-2016. I received this in a trade as a broadleaf form of D. capensis and didn't think much of it (the leaves are a little bit broad, but nothing crazy). However, in one year of growth it produced a quite attractive, sturdy stem, and is now looking really cool. I posted a picture similar to the lower photo to my Instagram (follow me @sundews_etc on Instagram!) and people liked it a lot. Unexpected favorite! A funny case during the last year is the saga of my first Drosera aliciae, which was stricken by aphids. The growth point split, and it looked really weird. Now it still looks weird, but it also looks cool as heck. Look at it! I think I'm going to bring this plant to the BACPS winter meeting to show off. Another situation where neglect produced excellent results (once the aphids were beaten back). 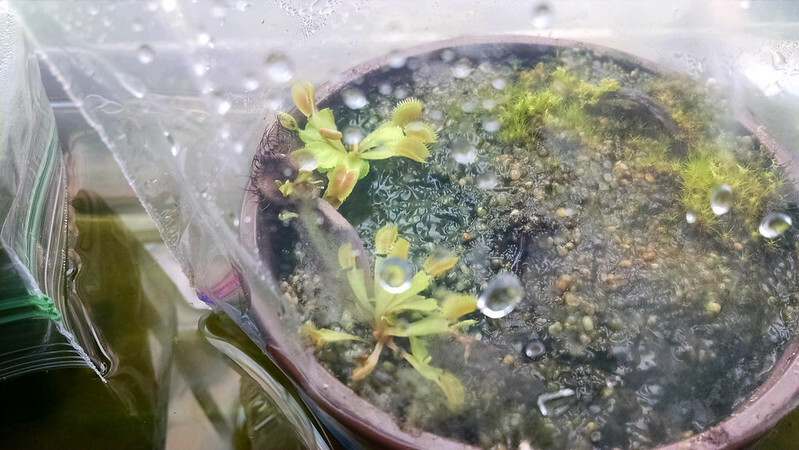 Finally, a cautionary tale: I got a Dionaea 'B-52' in August of 2014, and a couple leaves fell off in transit. I decided to try them as pullings, and one of them really took off. Why is this a cautionary tale? Because my original plant died! It was a terrible summer, and that nice big D. 'B-52' was one of the casualties. If those leaves hadn't fallen off I doubt I would have thought to take a pulling. I've said it before, but propagation is insurance. It's risky to have only one plant or one pot of a given species/cultivar/clone. I don't always follow my own advice, but you should propagate ASAP after receiving a new plant. You never know what might happen! It's been a good year. I've got big plans for the next one as well. Those plants won't grow themselves!